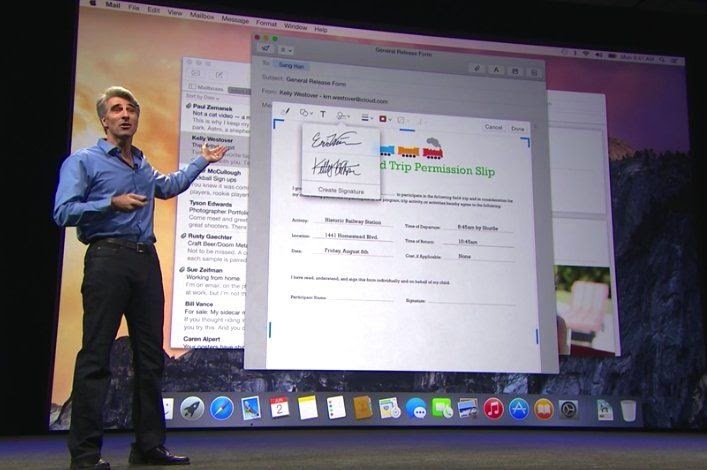 Apple used its conference to launch OS X 10.10 Yosemite free download. It is now available for Mac owners via the Mac App Store. Last June, during the opening keynote of the WWDC conference in San Francisco, Apple introduced the new version of its OS X 10.10 operating system named Yosemite. Since beta versions have been proposed for pending final developers and the general public. As a reminder this new OS brings various improvements. At the interface, the icons in the dock, the menu or the Mail interface has been changed. Therefore, tools have been improved. The Safari web browser has been optimized especially with a new TabView display, which allows you to view all open tabs, or easy access favorites. In addition, the Spotlight search engine has been enhanced by allowing, among others, indicate the last pages open. The Notification Center acquires, also a new feature, called "Today," which acts as an enhanced calendar. In addition, owners of Mac and iOS 8 devices can better enjoy the "Continuity" function, allowing you to continue its activities in other media or to take his calls. OS X 10.10 Yosemite is accessible for some Mac models sold in 2007 and 2008, and all those launched since 2009.